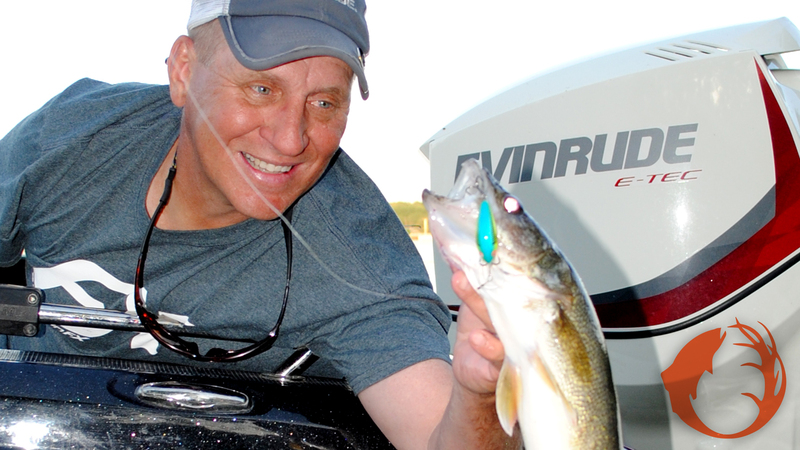 Mike Frisch is one of those anglers who pays attention to small details, and his catching reflects that. Over the last four decades I’ve had the wonderful opportunity to go fishing with a lot of different anglers. Some of these anglers were very, very skilled and they caught a lot of fish. Others weren’t as skilled and they usually didn’t catch as many fish. Early on I started watching the different things that the better anglers did to catch more fish: I was looking for their secrets. Come to find out, there were no big secrets. It really was a pretty simple thing: The best anglers paid attention to small details. Following are some of those small things that can help anyone catch more fish. Much of the time, a quick look at an angler’s equipment and how their baits are rigged will give me a very good idea of their fishing success. An angler really needs to make a strong effort to use balanced equipment. Balanced equipment doesn’t need to be expensive equipment. It’s just important that if you’re going to be throwing sixteenth ounce jigs for crappies, you’re using equipment designed for throwing sixteenth ounce jigs to crappies. A medium light rod with four or six pound test line will enable you to cast a small jig much better than a medium heavy rod with ten pound test line. Along those same lines, make sure you have enough line on your reel. I’ve seen so many reels lately that were less than half full of line. You just can’t cast well with a reel that doesn’t have enough line. You don’t need to take all the line off the reel and start over to fill up. Just tie some new line to the existing line on the reel and crank it on. When using jigs or plain hooks, tie them directly to your line. You don’t need a snap or snap/swivel to attach most baits to your line. In fact, a snap or snap/swivel will hinder your fishing success. Too much hardware will catch more weeds, will spook the fish, and will increase the odds for something going wrong. Some swivels have a tendency to straighten out or break. The less stuff on your line, the better. Become a proficient caster. When you’re working a shoreline for bass, it’s no fun when you constantly have to go back to get someone’s bait untangled from a tree on the shoreline. Spend some time practicing casting accuracy. Learn how to use your equipment. You should not hear your drag slip when you’re reeling in a crankbait. I heard that a lot on a trip awhile back, and the angler wondered why he couldn’t control the fish on the end of the line when one did eat the bait. Learn how to properly set the drag and the cast control on your reels. Lots of anglers just want to go fishing, and that’s great. But if they would spend some time learning the little details about fishing, they would enjoy their time on the water even more. When you’re fishing with a successful angler, pay attention to how they do things, and if you have a question about why that angler is doing something a particular way, ask. By doing so, you will catch more fish.